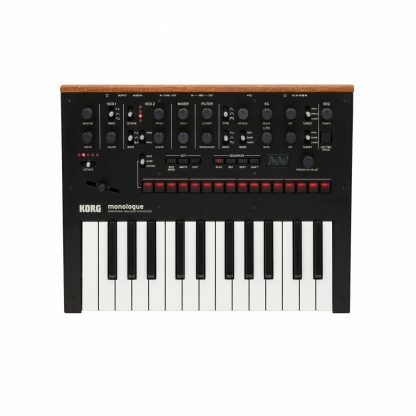 The Korg Monologue is a 25-key, fully programmable monophonic analog synthesizer with a voice all its own. 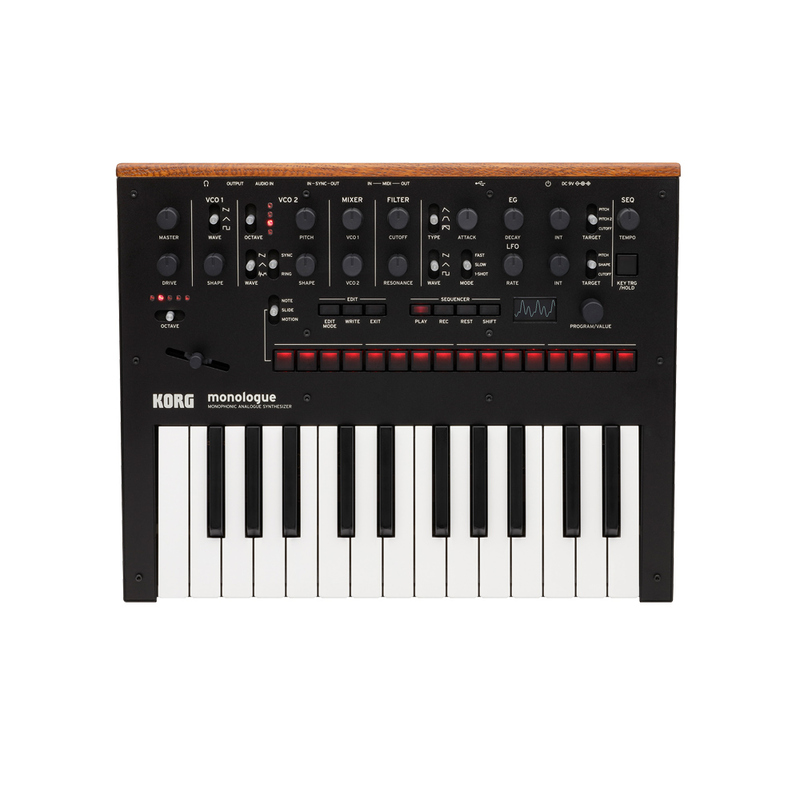 The monologue is a 25-key, fully programmable monophonic analog synthesizer with a voice all its own. 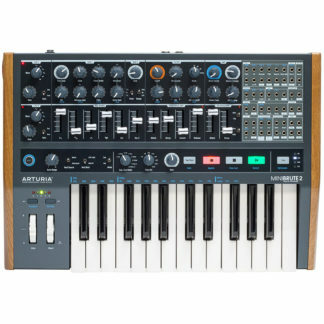 While sharing its sleek layout, knob-per-function workflow and high-quality construction with the best-selling minilogue, monologue is a truly unique new synth for all types of musicians; featuring new voicing and sound sculpting abilities – at an amazing price. The monologue’s completely new filter, modulation, drive, and LFO can generate powerful basses and sharp leads, creating awesome mono sounds that showcase its single-voice design. The step sequencer has also been dramatically expanded, allowing more intuitive and more complex editing. With a lineup that gives you a choice of five eye-catching colors, this compact instrument has a strong personality to match your own. The structure is 2VCO, 1VCF, 1EG, 1VCA, and 1LFO. 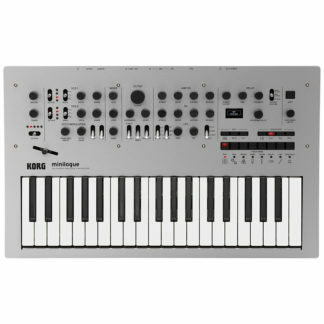 In addition to the same distinctive circuits as on the minilogue (such as the wave shaping that shapes the overtones of the oscillator, and a sync/ring switch), the filter section uses a two-pole filter to deliver aggressive sound. Newly featured is a drive circuit that adds overtones and distortion to the sound, letting you generate fat basses and sharp lead sounds to your heart’s content. The LFO rate can be adjusted into an unprecedentedly ultra-high-speed range to generate crazy space-shattering sounds, or switched to one-shot mode to act, in a sense, as an additional envelope. 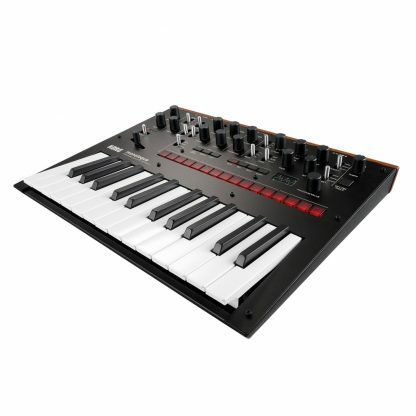 The keyboard section features the acclaimed slim keybed of the minilogue and the MS-20 mini. To make monologue a synth that any musician can immediately pick up and play, the keyboard covers the E–E range of notes – just like a guitar or bass. 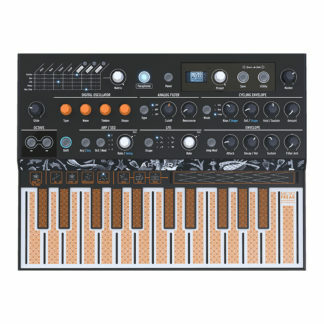 The monologue goes beyond analog synths in its price range by adding 100 preset locations. Select a program for instant access to great sounds – – ranging from thick basses to deep subs to brilliant cutting leads and even percussive sequences. No need to have deep synthesis knowledge; just choose a sound and tweak – a workflow that is very familiar with musicians today. 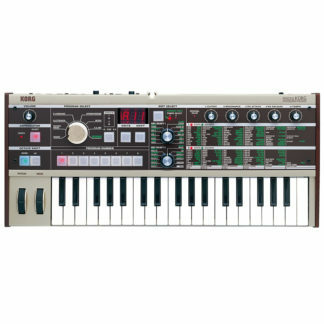 Built-in programs provide 80 preset sounds and sequences made by creative artists around the world including legendary electronic artist Aphex Twin, plus 20 user locations for saving custom sounds. 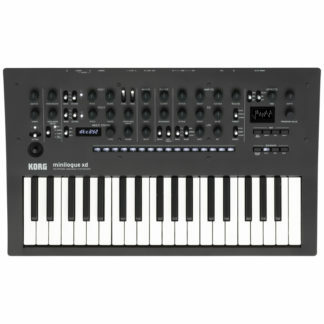 The step sequencer of the monologue has been significantly enhanced to deliver musical, complex rhythms that are easy to capture, see, and edit. 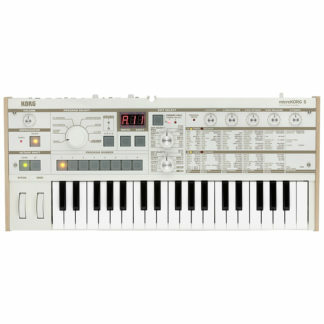 It supports both real-time recording with overdubbing capability as well as step recording that lets you record simply by pressing keys in the desired order, and you can also use the 16 physical buttons for quick editing or for improvisatory performance. 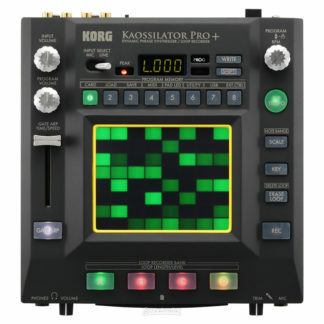 The motion sequence function lets you record up to four knob movements to apply time-varying change to the sound, and allows you to record not only continuously changing values as on previous models, but also values with step-wise variation. Since it’s designed to let you create different sounds at each step, you can make unprecedented sequences, such as a sequence that generates a drum pattern from a single program. There’s also a key trigger function that lets you play back a sequence while you hold down a key, and even transpose it. Another new function is slide, which can be used to produce smooth bass lines by specifying portamento for each step. 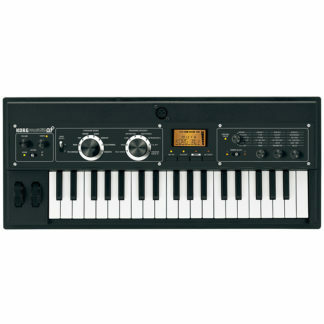 In addition, unlike most analog synthesizers in its class, the monologue can operate on batteries. Even if you’re a hardware performer who uses numerous units, you won’t need to worry about providing additional power supplies and installation space. 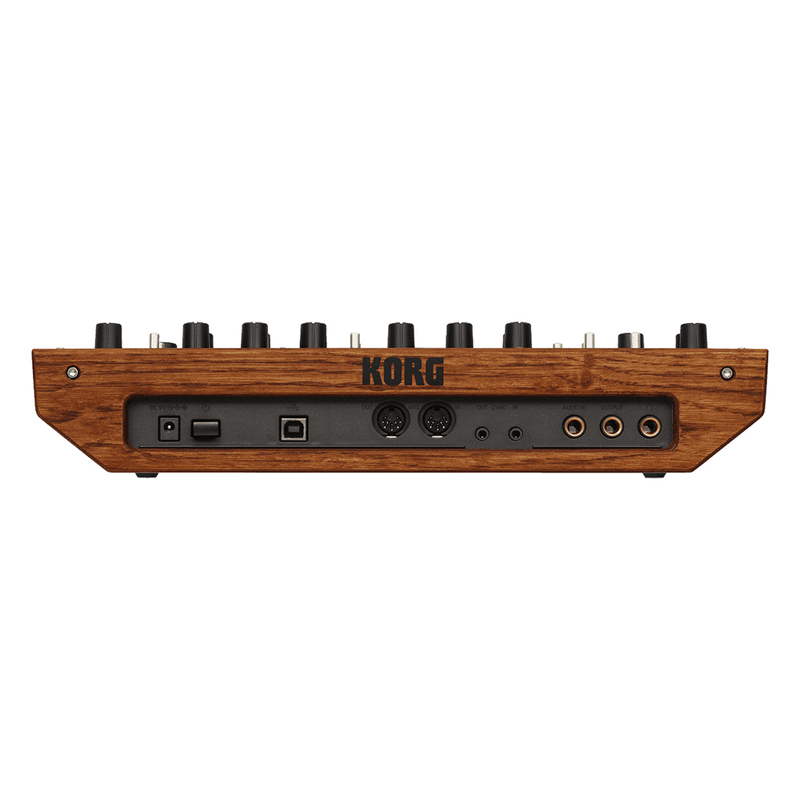 Korg products are covered by a 1 year manufacturer warranty with the option to extend it to 3 years by registering with CMI.